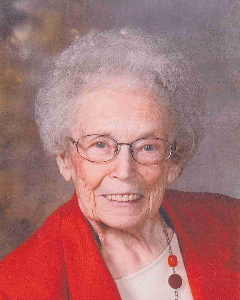 Joan Marilyn (Genung) Milbrand Bullert, 85, of Glencoe, died Tuesday, May 2, 2017, at Glencoe Regional Health Services Long Term Care. Casket bearers were Dean Heuer, Paul Heuer, Brian Milbrand, LaDarryl Fenney, Rodney Mackenthun and Joe Ebert. Interment was in the St. John’s Evangelical Lutheran Cemetery in Helen Township, Glencoe. Joan Marilyn (Genung) Milbrand Bullert was born Dec. 2, 1931, in Minneapolis, the daughter of Joel and Bernice (Berg) Genung. She was baptized and confirmed in May 1954 by the Rev. Karl J. Plocher at St. John’s Evangelical Lutheran Church in Helen Township, Glencoe. She attended grade school in Minneapolis and Louisiana, where her father was stationed. She graduated from Patrick Henry High School in Minneapolis in 1949, after attending school in North Carolina, South Carolina and Georgia. In 1950, she entered nursing school at Northwestern Hospital in Minneapolis. While there, she met Harvey Milbrand and, when they decided to get married, the nursing career ended. On July 19, 1952, she was united in marriage to Harvey Milbrand by Chaplain John Allman at Tinger Air Force Base in Midwest City, Oklahoma. Mr. Milbrand spent a year serving in Korea and, in January 1954, they moved to Glencoe, where he farmed with his father and brother. In 1960, the couple purchased a farm in McLeod County. Their marriage was blessed with two children, Nancy and David. They shared over 24 years of marriage before Mr. Milbrand was diagnosed with cancer in 1976, and died on April 27, 1977. After his death, she attended HAVTI (Ridgewater College) in Hutchinson, where she earned a medical secretary degree. In 1979, she met Ernie Bullert and they were united in marriage on Sept. 2, 1979, by the Rev. Thomas Kutz at St. John’s Evangelical Lutheran Church in Helen Township. They lived on Mr. Bullert’s farm until 1983, when they moved into Glencoe. The couple shared over 29 years of marriage before Mr. Bullert died on Feb. 14, 2008. In addition to being a loving wife, mother and homemaker, she helped her husbands on their farms. She also worked for 10 years at Glencoe Regional Health Services as a medical secretary. She was a member of Good Shepherd Lutheran Church in Glencoe. She enjoyed traveling, putting many miles on the car. Her favorite trip was in 1995, when they went to Alaska and, in 1997, she traveled to England to visit her brother. A highlight of that trip was a train trip to Paris through the “chunnel.” Mrs. Bullert was a self-taught woman who loved ceramics, crafts, cross stitch, needlework and Bible studies. She treasured the time spent with her family and friends. She is survived by her son and daughter-in-law, David “Ducky” and Chris Milbrand of Glencoe; brothers, Joel (Annie) Genung of Bixby, Oklahoma, and Ronald Genung of Tucson, Arizona; stepchildren, Bernie Bullert of Cottage Grove, Bruce (Pat) Bullert of Fort Myers, Florida, and Brenda (Joe) Lenz of Buffalo; stepgrandchildren and stepgreat-grandchildren; nieces, nephews, other relatives and friends. She was preceded in death by her parents, Joel and Bernice Genung; first husband, Harvey Milbrand; second husband, Ernie Bullert; and daughter, Nancy Milbrand.